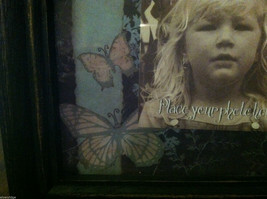 Here is a scrapbook inspired picture frame. 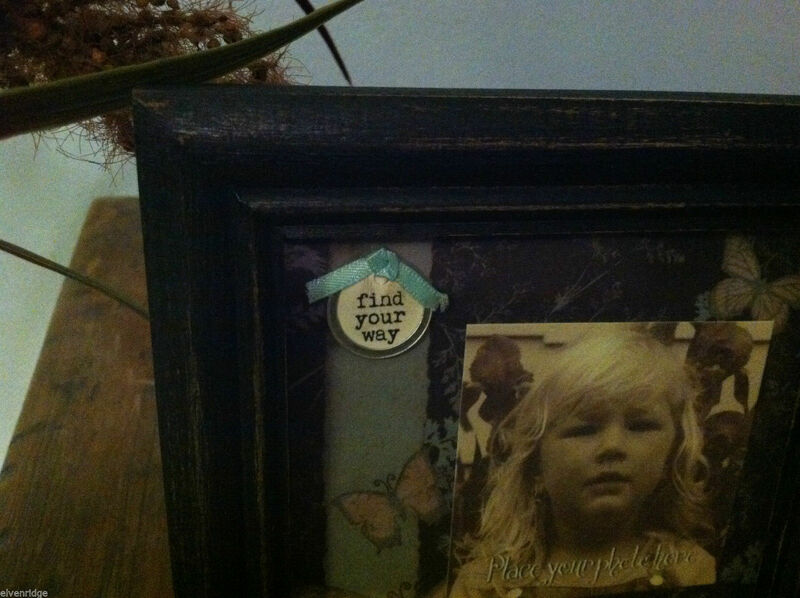 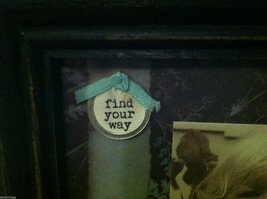 It has a 2 1/2" square space to put a photo in that is surrounded by a cute "Find your way" charm and a whimsical butterfly setting. 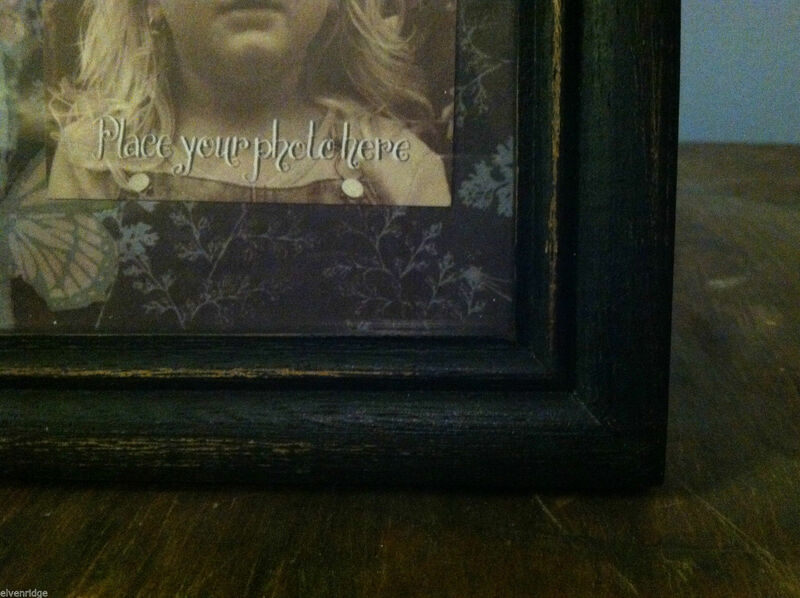 The added touches really give this a custom look and would be a great gift or something different to frame one of your old pictures that's just lying around. 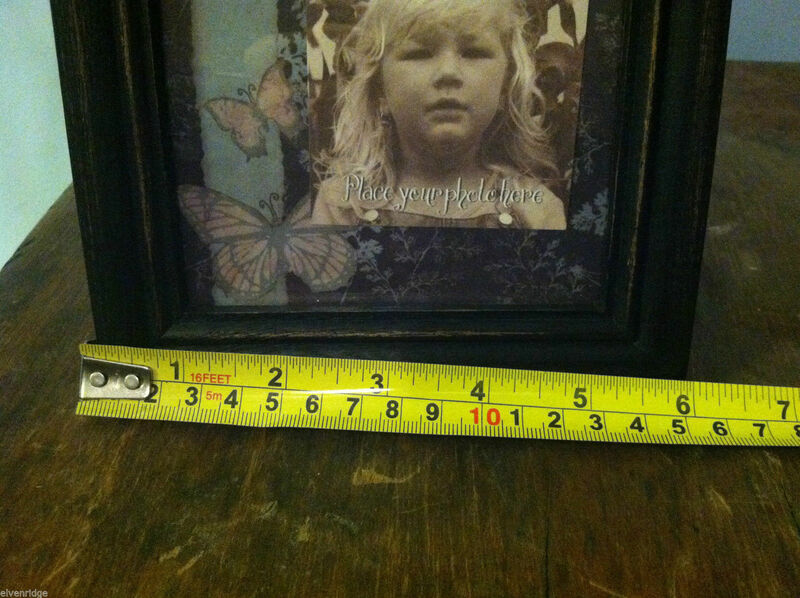 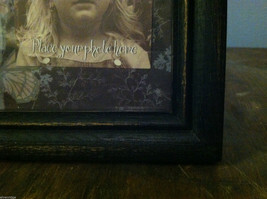 The distressed black beveled frame gives the picture a country vintage feel and would go great in any room. 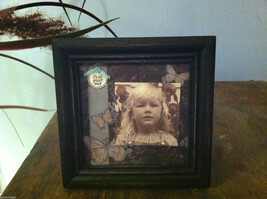 The picture comes with 2 wooden pegs and holes in back for standing upright (as shown) or can be hung on the wall. Measures 6"(H) x 6"(L) x 3/4"(W).